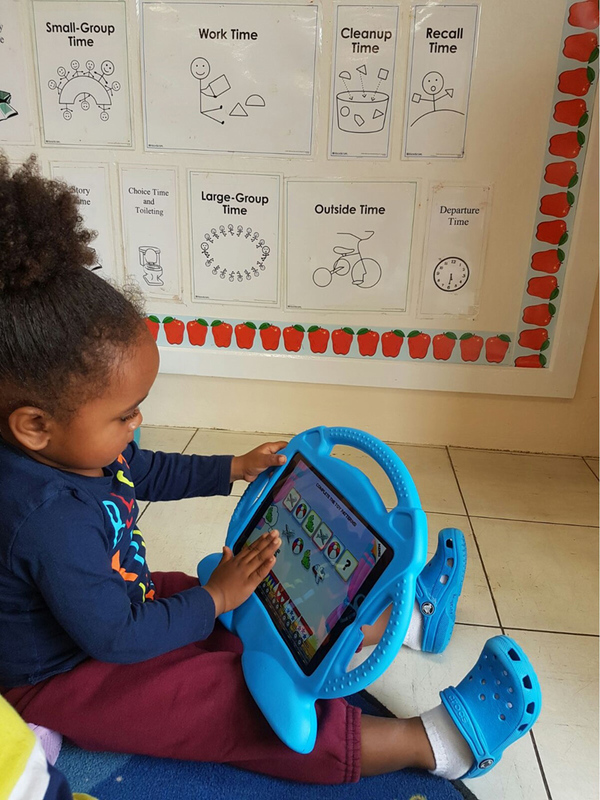 Hemera Fund at the Bermuda Community Foundation’s donation of six iPads has has enriched the educational experience of the young children enrolled in Happy Valley Child Care Centre [HVCCC]. “The children now have the opportunity to better connect with the content of the school’s High Scope Curriculum – a quality approach to early childhood care and education, which identifies and builds on children’s strengths, interests and abilities,” a spokesperson said. 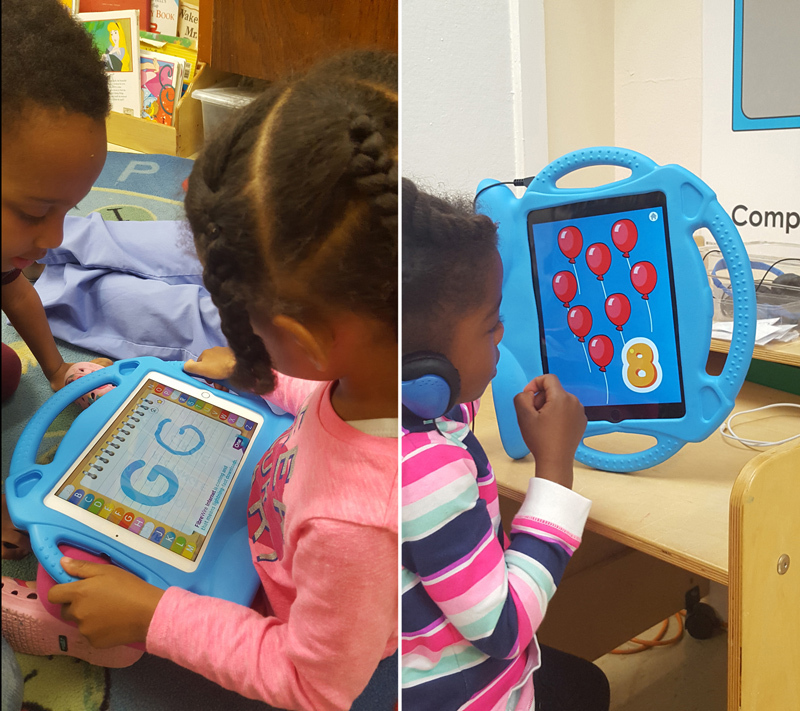 “HVCCC will use the iPads in the classrooms in ways that are appropriate, intentional and active for students. Teachers also have the opportunity to utilize the iPads for observation and data collection, as part of the High Scope assessment tool. Have educators gone mad??? Children do not need to be reliant on electronic devices from such a young age as plenty of research shows that it has negative effects on child development. Precisely the reason why parents are advised to restrict the use of electronic device use by their children. Might make life easier for the teacher as it keeps the kids entertained, but has no benefit to the kids and will cause problems that the parents will be responsible for addressing. Sad situation. That is wonderful. What a great donation. There is little to celebrate about this! This is developmentally not appropriate. Our children are losing the ability to problem solve, think critically and interact socially. 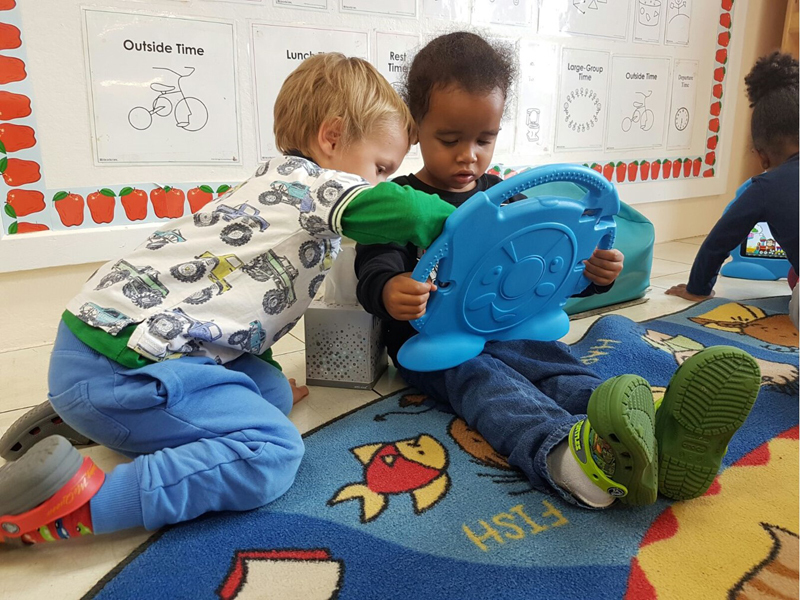 In nursery and preschool they should be PLAYING with each other and learning to interact. We are creating a generation that will soon be unable to do anything besides being glued to a screen of one sort or another. Throw out these Ipads at this level and let the children have an opportunity to develop fully. They have the rest of their lives to be “wired up”. Sad Development: until you fully understand how HVCCC use the iPads to enhance their curriculum, I don’t think it is fair of you to negatively comment and rain on their parade. Consider that HVCCC has an impressively hands-on and play centered curriculum and this exposure to technology is fulfilling the mandates of the STEAM approach to learning. Also consider that this generation will use technology from this point on regardless of their chosen occupation. STEAM Education provides the framework used for connecting the growing network of educational disciplines, businesses and communities to create adaptable citizen-involved, globally-responsible, reality-based programs for developing for life-long FUNctional literacy for all. Essentially though it takes the core subjects of Science & Technology, Engineering, Arts and Maths. It then attempts to make them more fun to appeal to todays kids. Time will tell whether it works or it will just be another fad. However, what seems clear to me is that giving a 3 year old an ipad does not fulifil the mandates of the STEAM approach to learning! This is actually quite disturbing. Research has shown that children under 8-10 should not be exposed to meaningful amounts of time with interactive screens/iPads. It slows the development of the frontal cortex. 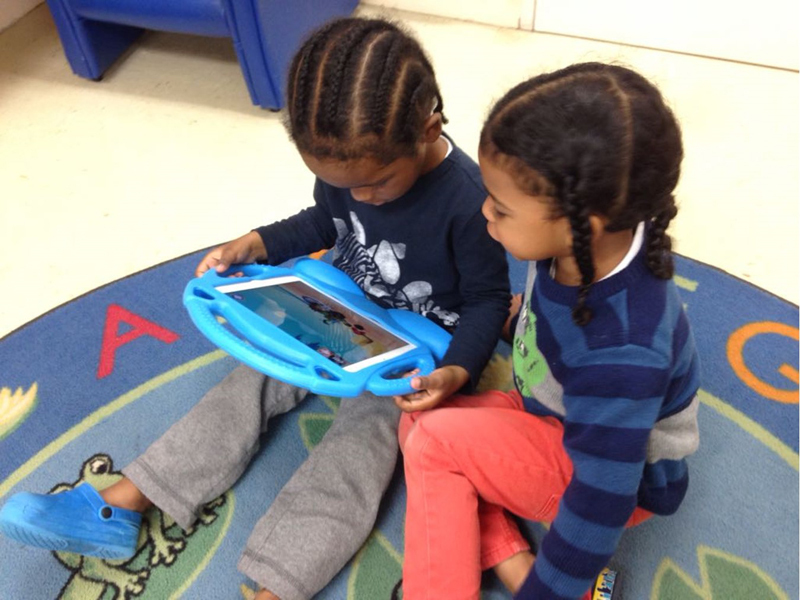 Children do not need access to technology at 3 yrs old to become prepared for STEAM. They need to focus on problem solving and creativity. After all, Bill Gates didn’t ah e a computer until he was 13. Check out the book Glow Kids for the research. If I was a parent, I absolutely wouldn’t be sending my child to this nursery!!! I think all the comments above are from jealous old people who are upset that babies are better with technology than they are. Get used to it, this is the future and there is no harm in this. You are wrong there. I have two young children so I am speaking from my experience of bringing up children in todays world. Being able to use an ipad at three years old will not better equip them for the future, but will instead negatively affect the childrens development (physically and mentally). And by the way being able to use technology in itself will not create skilled individuals when they get older. Kids of this age should be encouraged to develop social skills and creativity. As they get older we need to be teaching kids the skills to understand how and why the technology available to them works as that is the only way we can continue to make to advance technology. Don’t even get me started on STEAM. More like the comments are from the parents of kids who will get scholarships, excel at sports and relationships because they focused on the important developmental aspects of raising a child, creativity, critical thinking, problem solving, active living etc. While it seems yours will be able to take a selfie. You probably still own a VCR.